When a bus is in an accident or experiences a mechanical issue that causes service delays, the incident typically prompts an investigation to determine the root cause, assign blame, and hand down a punishment. This may satisfy the needs of management and the public for action, but it does little to prevent that incident from happening again. It only serves to demoralize the entire workforce, which in turn stunts any progress to improving safety levels. Transit system management can break out of that blame cycle by building a culture into the safety management system (SMS) that encourages employees to assume a more proactive role in hazard identification and reporting. Transit system management can break out of that blame cycle by building a culture into the safety management system (SMS) that encourages employees to assume a more proactive role in hazard identification and reporting. 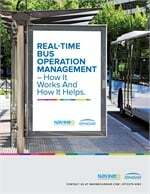 Transit system operators invest in cutting-edge technologies that collect and analyze data from vehicles and riders' mobile apps to help them improve service levels. But they will not realize the full ROI of those investments if they do not also analyze how the human factor affects their safety business. More often than not, an incident is the result of multiple factors that are beyond the control of the employee at the wheel or holding a wrench. The weather, faulty organizational processes such as poor communications channels among employees or departments, local working conditions, or undiagnosed equipment failures can all play roles. It’s also important to remember that the traditional approach to incident investigation is short-sighted because it only addresses known incidents. For every serious accident reported, there are likely one hundred small incidents that go unreported. Those build up and increase the risk of a serious accident occurring. For every serious accident reported, there are likely one hundred small incidents that go unreported. Think of it like the ship captain who only worries about the tips of the iceberg he can see, and does nothing to avoid the bulk of that iceberg that lies beneath the water line. Just like the ship captain needs to train his sailors to look deeper than what's visible and sound an alarm over potential dangers, transit system operators cannot fall back on training and retraining employees in the hope that will magically solve lingering problems. Transit system management must foster an atmosphere of trust that encourages and rewards employees for providing safety-essential information, even if it is self-incriminating, without fear of reprisal. An effective SMS empowers employees with the confidence to raise concerns that may lead to serious safety/quality error, and assures them that someone will listen to them and investigate their issues or concerns in a professional manner — all without fear they will face unduly harsh penalties for admitting to genuine mistakes. Recognizing that human error can and will occur is critical to mitigating the damage future errors may cause. This requires establishing an event management program that encompasses three phases: Non-Judgmental, Decision and Judgmental. The Non-Judgmental phase begins not only with the initial investigation into what happened, but also by taking any precautionary actions to minimize the potential damage an accident or mechanical failure may cause. The Event Investigation Team (EIT) is a group of formally trained and internally-certified personnel that conducts an investigation not only after an incident, but also into near-misses that employees report. An incident does not automatically trigger an investigation with the goal of assigning blame and doling out punishment. The EIT should work with a Site Safety Council (SSC), which is responsible for overseeing any short-term intervention actions necessary to prevent a recurrence of the incident. The SSC is made up of employees representing various parts of the organization who ensure that reported safety items are addressed, concluded, tested, and that the originator of the report is notified of requisite action. Its members do not convene only following an event, but also on a routine schedule (i.e., weekly or monthly) to review SMS performance metrics, and all near-miss and incident reports. Phase 2 is the Decision Phase, where the Event Review Team (ERT) examines the investigation’s findings, and then decides whether to order additional actions that will mitigate the damage done and prevent the incident from reoccurring. It will also determine whether there is reason to formally discipline an employee(s). Then, if appropriate, the process moves into the Judgmental Phase, where the Site Management Team (SMT) considers input and recommendations from the SSC and ERT. The objective of the SMT's review is not just to determine what disciplinary action to take, but also what management can do to in terms of allocating resources and money to better address the root cause of the incident. To summarize, an incident does not automatically trigger an investigation with the goal of assigning blame and doling out punishment. Rather, multiple teams representing all employees work together to collect and examine evidence, and consider employee testimony and feedback before making any decisions. When employees understand they can report hazards, near-misses and incidents/accidents and be part of the effort to prevent them from happening again, safety and service levels rise. 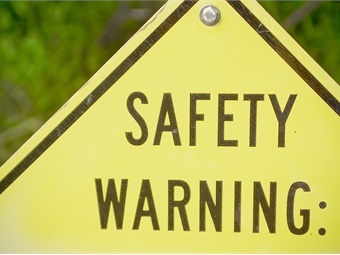 Fostering a culture of safety is just as important to creating a practical and effective SMS as making investments in new technologies such as SMS software, incident notification systems and vehicle telematics. To be clear, this does not mean giving employees a Get Out of Jail Free card and giving them license to take risks. You want to establish a safety policy that articulates the corporate stance on error, which recognizes that errors will happen. If someone makes an honest mistake, they will not be punished. The emphasis should be on making clear the company's desire to learn from those errors. This requires establishing a clear definition of acceptable and unacceptable behaviors, and what the company is willing to trade/expend to get organizational learning and improvement. When employees understand they can report hazards, near-misses and incidents/accidents and be part of the effort to prevent them from happening again, safety and service levels rise. 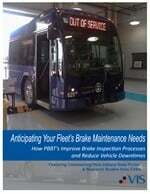 Mike Anderson is the VP of Safety & Security for RATP Dev USA.